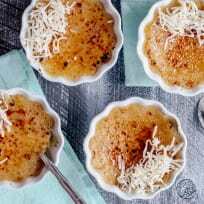 Vanilla white chocolate coconut crème brûlée makes a decadent dessert that’s easier than you think. 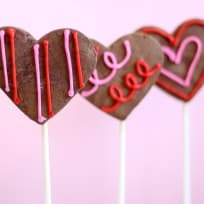 Whip it up for all your sweethearts! Salted vanilla hot chocolate is not to be missed! 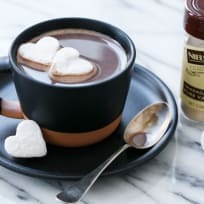 Warm up this winter with a sweet and salty twist on a classic, made with Nielsen-Massey Madagascar Bourbon Pure Vanilla Powder and a pinch of sea salt. 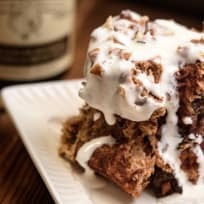 Chocolate pecan cinnamon rolls are the perfect special treat to wake up to! We stuffed them with pecans and chocolate chips and covered then with a vanilla bean cream cheese glaze. These chocolate sugar cookie pops topped with orange-kissed buttercream frosting are delicious! They’re rich and flavorful, just like Valentine’s Day should be. Chocolate angel food cake is a decadent dessert for Valentine’s Day. Just without all the extra calories!